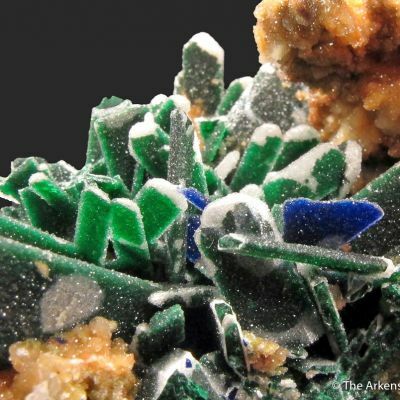 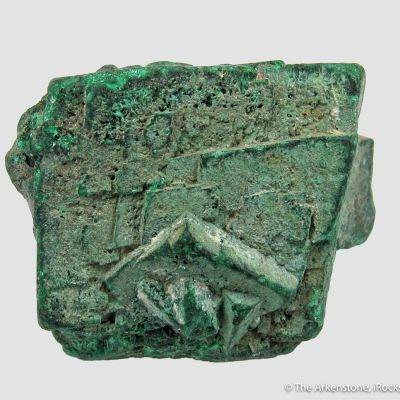 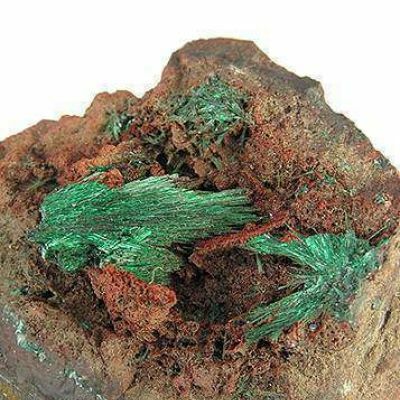 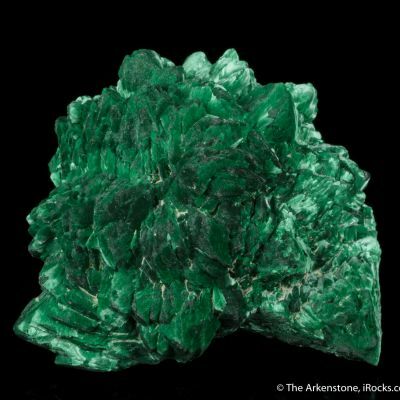 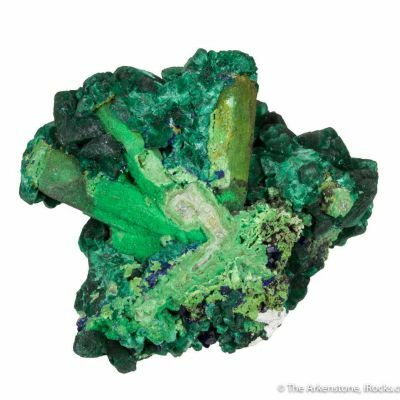 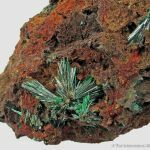 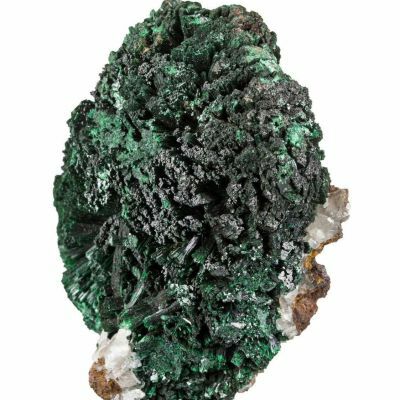 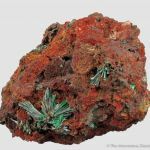 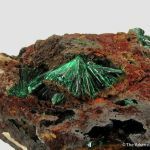 A very rare old German classic - SUPERB sprays of Malachite, set in gossan matrix, from Germany's ancient mining district in Siegerland. 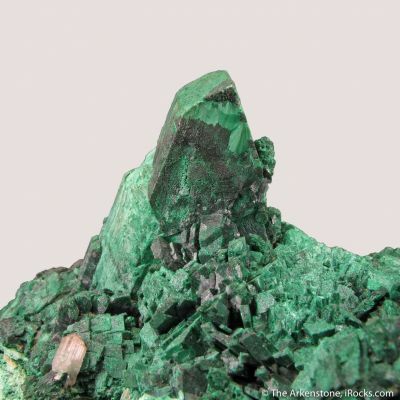 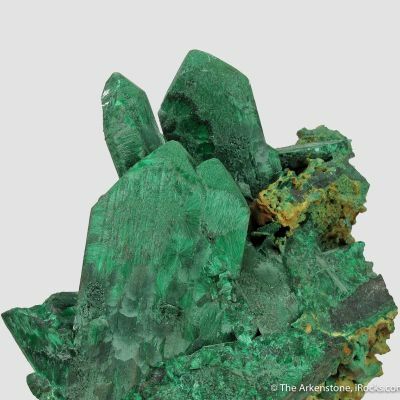 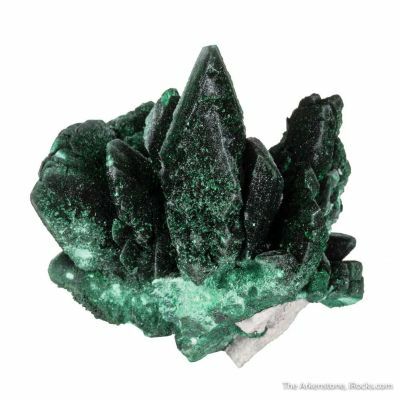 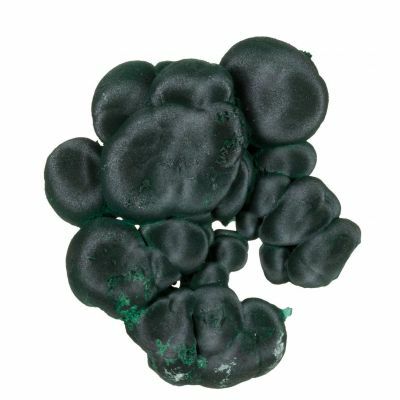 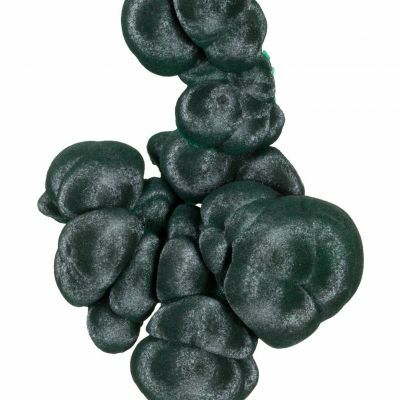 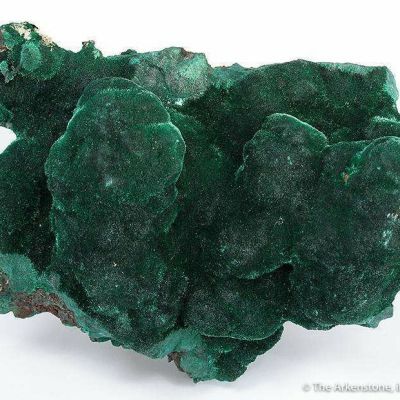 The elongated primary crystals of Malachite, which reach up to 1.3 cm individually, have an adamantine luster that is nothing short of fantastic, and a deep forest green color that complements the luster perfectly. 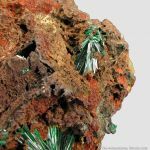 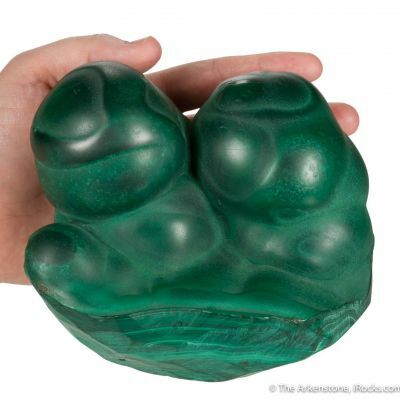 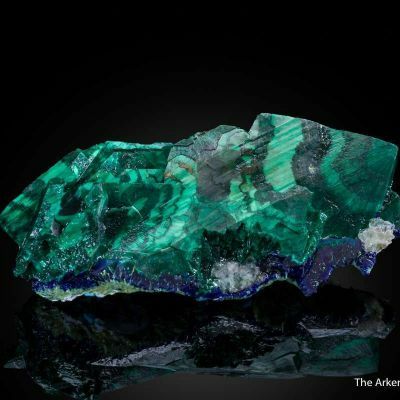 These crystals are not large by worldwide standards, but they are stunning by the standards of old German malachites, and important for the location and the style. 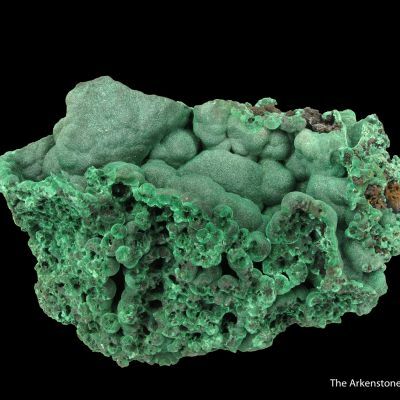 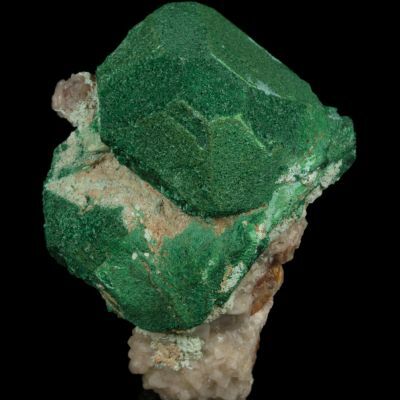 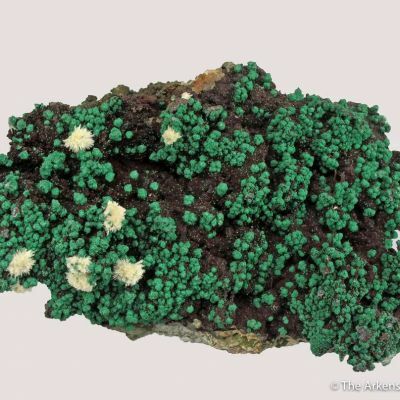 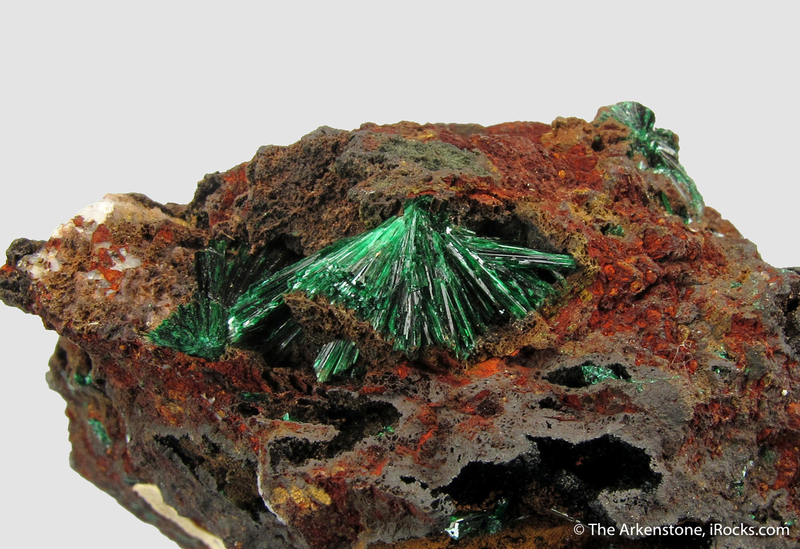 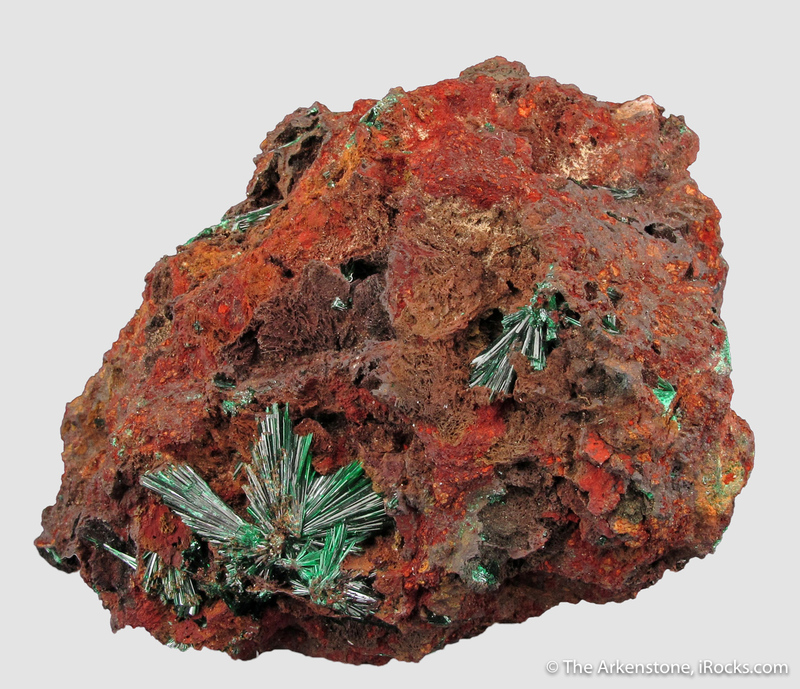 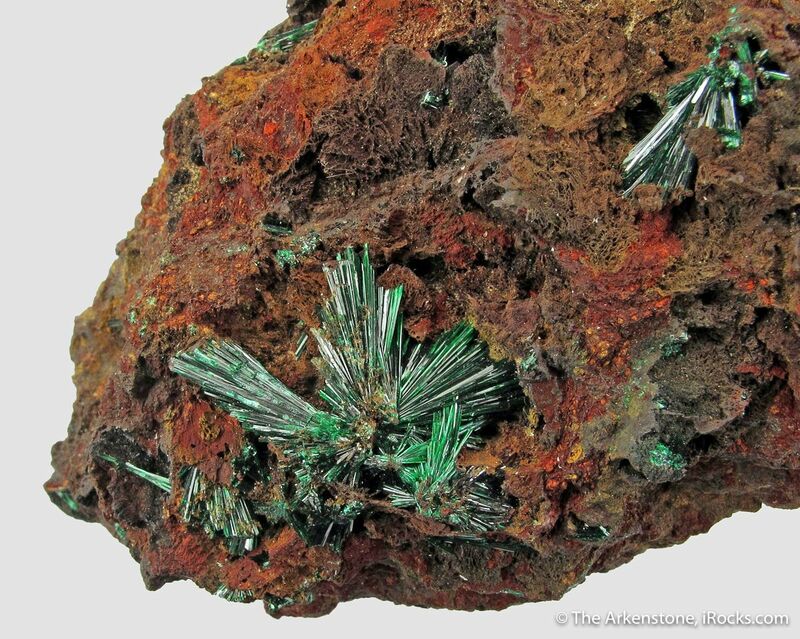 Note that these are not pseudomorphs after azurite, but rather primary malachite in its own native crystal habit (more rare). 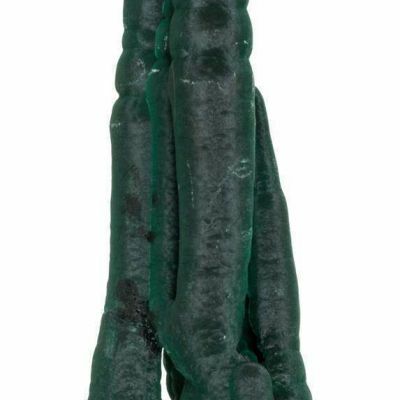 An old specimen, and rare on the market. 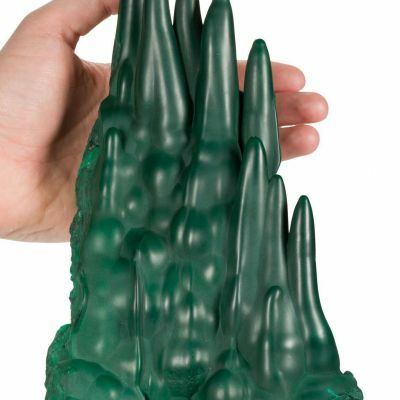 BETTER IN PERSON.